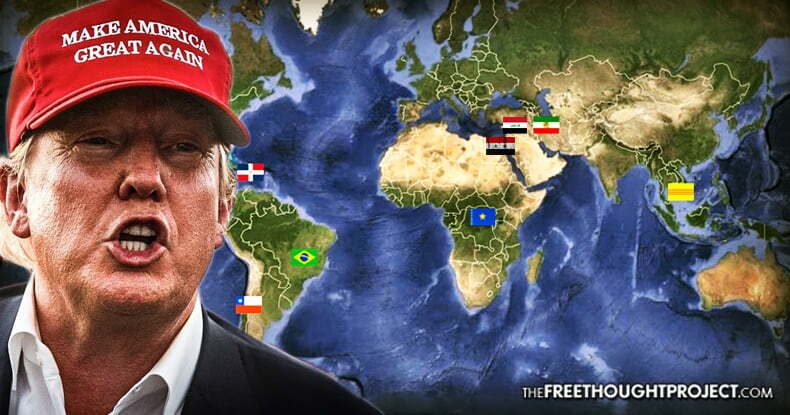 The mainstream media’s outrage over reports that President Trump referred to Haiti and El Salvador as “Shithole countries,” has gone above and beyond any outrage attributed to the fact that the United States has let its Central Intelligence Agency have free reign over the governments it overthrows and the countries the U.S. invades. When democratically-elected Guatemalan President Jacobo Arbenz challenged the United Fruit Company, a U.S. corporation, in order to call for laws that would be fair to Guatemalan farmers, the CIA stepped in. The agency overthrew Arbenz in 1954 and installed a military dictatorship in his place that resulted in a series of bloody U.S.-backed dictators. In 1991, Haiti was celebrating the election of its first democratically elected president, Jean-Bertrand Aristide. However, just eight months later, Aristide would be overthrown by a military coup d’état. While the US government aided Aristide in escaping Haiti and seeking exile in France, Aristide eventually returned to Haiti and was re-elected, only to once again be forced to step down. While Assad is still in power today, it is no secret that the U.S. has gone out of its way to overthrow him, and as a result, the Syrian Observatory for Human Rights has estimated that over 480,000 people have been killed, and the war-torn areas of Syria that have experienced involvement from the CIA now resemble exactly what President Trump would describe as a “shithole” country.